Recently, the typhoon appear . Along with the strength of this typhoon, the weather of almost all the Guangdong province is raining and winding, especially the cities which is near by the sea. In the Guangzhou which city that I live, I realize that the rainy and windy day cannot prevent the people from working with their business as there is no exception for me. To be frank, it is not glad to go outside in such a weather with the heavy rain. I am not sure whether other people think like that or not, but for my part, I don’t like this weather. In order to get rid of the bad mood that the bad weather caused, I always like to do something that I like. There are so much methods that could bring the happiness to me, but the most important way for me to put on my favorite fashion jewelry. As we all known, the jewelry is the best friend for the girls in their daily life. 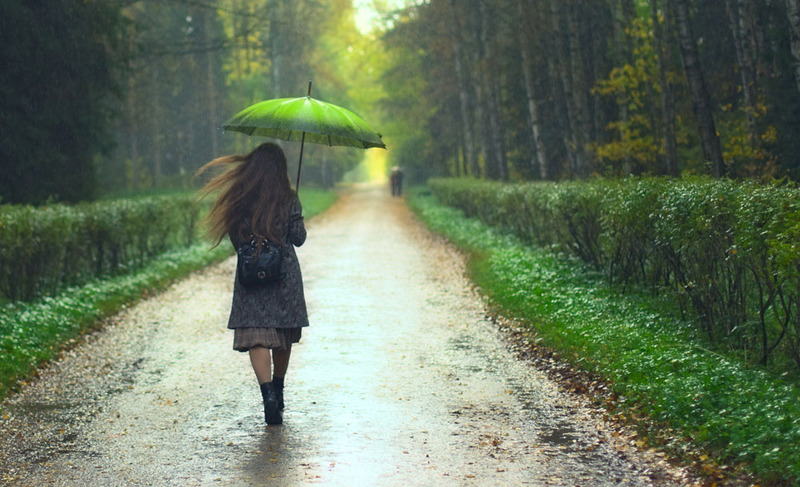 Holding the umbrella and wearing the favorite jewelry to walk in such a rainy day, I think it is a very romantic thing for me. As soon as I wear the fashion jewelry that I like, I feel happy and the bad weather will not have any bad influence on my mood. 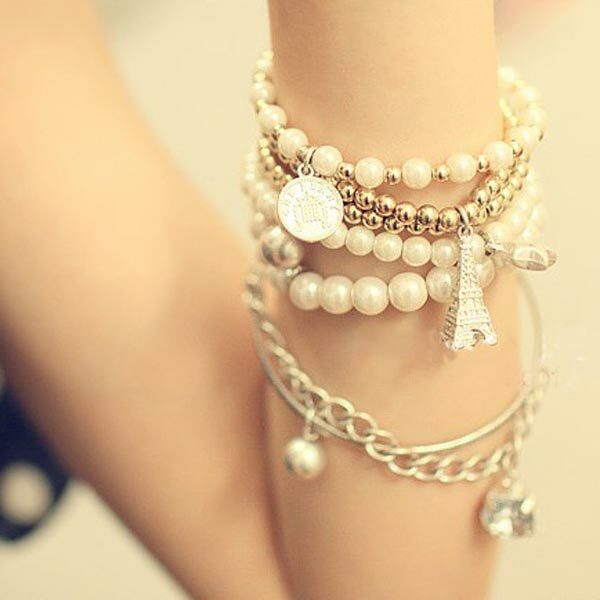 With regard to the fashion jewelry, I think the multilayer pearl beads bracelet is my favorite bracelet. You guys are curious about its appearance? I will show you these pictures of it. The main material of this bracelet is alloy and the pearls, and the pendant pattern of it is the coin, the star and the Eiffel Tower. All the elements of it are so charming that no one can reject to put it on. In my opinion, this kind of bracelet can perfectly show the girl’s charm to other people and make them become more eye-catching in the crowds.